IRISH EYES SMILIN': Yes we're a few month removed from St. Patrick's Day, but the Irish don't need an official holiday to celebrate (that's coming from an Irishman). The Greater Hartford Irish Music Festival kicks off Friday night at the Irish American Home Society in Glastonbury. It's the largest Irish music festival in New England. Bands like Celtic Cross, Finn's Fury, Black 47 and Barleyjuice will all take the stage this weekend. It's not all for the adults, there's plenty to do for kids as well. The festival begins tonight at 6 p.m. and runs through Sunday. Click here for ticket prices and details. LAUGH IT UP: If you don't know the name Harland Williams, you know his work. The actor and comedian has had memorable roles in huge movies such as the motorcycle cop in "Dumb & Dumber" and as the serial-killing hitchhiker picked up by Ben Stiller in "There's Something About Mary". Williams is at the Funny Bone in Manchester for several shows this weekend. He's appearing tonight and Saturday at 7:30 p.m. and 10 p.m. He'll do a final show on Sunday at 7 p.m. Tickets for Friday and Saturday are $22, Sunday's show is $20. LASER ROCK: Looking for something a bit different this weekend? Try the Laser Rock Music Shows at The Children's Museum in West Hartford. The museum transforms its planetarium into a haze of music and light. 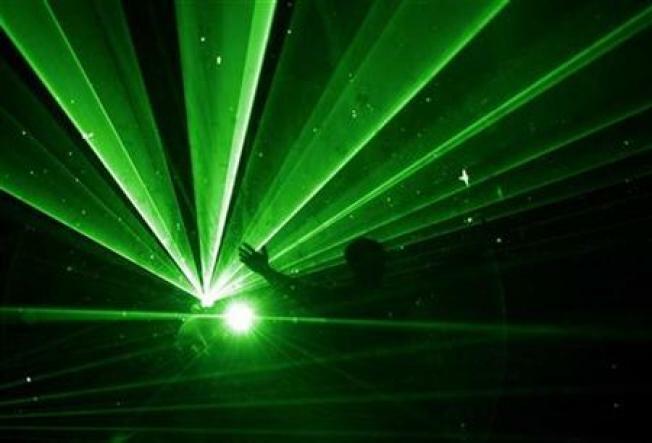 Shows featuring the music of The Beatles, Metallica and Pink Floyd will be accompanied by some seriously cool laser effects. It begins tonight 5:30 p.m. with hourly shows, and continues Saturday and Sunday as well. It costs $7 for members, $8 for non-members. Check out which shows are at what time here. A LITTLE MAYHEM: Those who like their music a little heavier, can check out Mayhem Festival 2010 at Comcast Theatre. The festival rolls into Hartford on Saturday. It features Korn, Rob Zombie (in a sort of homecoming since he calls Woodbury home now), Lamb of God and Five Finger Death Punch on the main stage. And the music doesn't end there. Nearly a dozen other bands will play two other stages as well. The show starts at 7 p.m.